The Garden Room is a free standing bedroom in the garden of The Old Trading Post, with double bed and en-suite bathroom with shower and a kitchentte for limited self-catering and outside patio. The Old Trading Post is situated in a quiet rural area amongst the lakes and wetlands of Wilderness with abundant birdlife, natural beauty and a mild all year climate. Nearby are beaches, walks and trails. We have a canoe and mountain bikes for hire. Nearby in Wilderness ar several popular restaurants catering for all tastes. 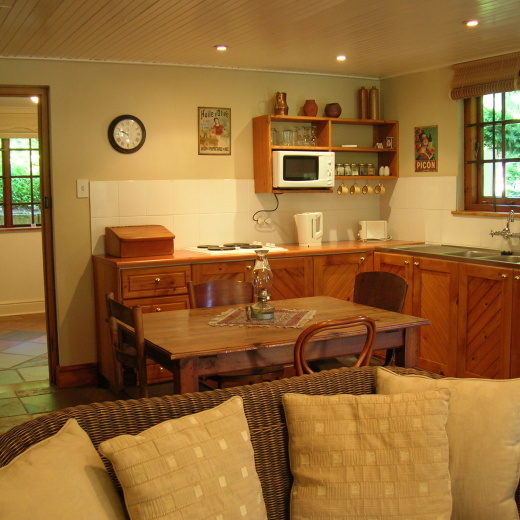 Centrally situated to explore the Garden Route attractions.